So last week's blaster of Elite was a total bummer, eh? No hit, but that was a 'mistake' box I'm pretty sure as the packaging pretty much says a hit should be found in it. Talking to Panini about it should be helpful as they have great customer service. This week's blaster should also have a hit in it... but will it? Let's open it and find out! 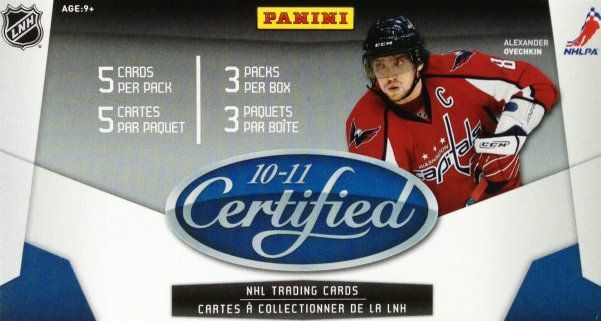 I think Certified was Panini's first really great product when they came into the hockey scene back in 2010. Certified was an amazing product to break, and one that really had some good value associated with it. I know that personally I was really into it and couldn't get enough of the stuff. The original price of this blaster was twice as much as what I got it for. I think that back then I would still have been enticed to get one at thirty bucks. Currently, it's price is definitely something ok to pay for one as there is some pretty sweet things that you can still find in them. Memorabilia and autographs are available to those who choose to buy these blasters. Ahh, not the best break, but I think a typical 'normal' break for this product. I was able to pull an insert card, a hit, and the rest base cards. Again, as I always do, I found the product to be absolutely stunning. I just don't know how Panini got this particular year's set to be so high in quality. My only complaint about this box was that many of the base cards had a little bend in the corners. Maybe the packs were shaken around a bit too much after all these years, but since I'm not too concerned about the base cards I'm not going to really get too upset over it. The only reason this card is here in spot three is because its bigger brother is in the top spot, and it's kind of fun to get different parts of a rainbow in the same break. 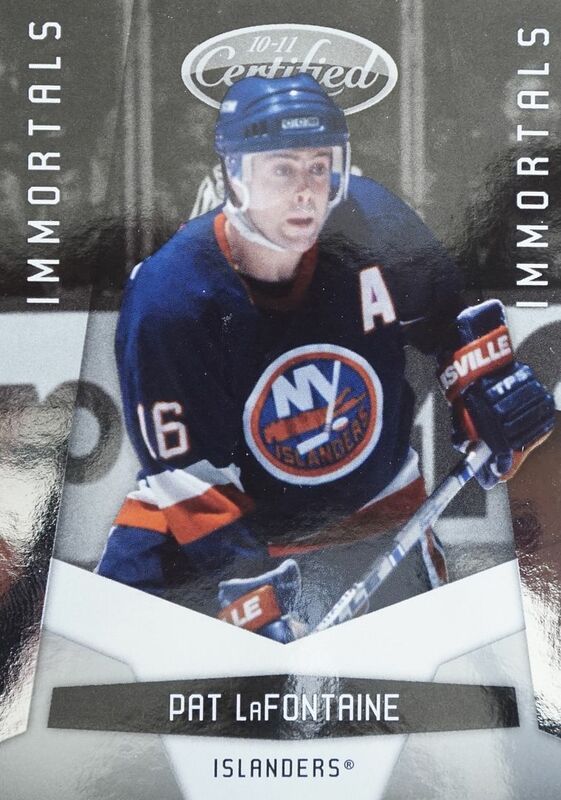 I was pretty happy to pull this card of Pat LaFontaine. He was one of my all-time favorite players, and pulling his cards is always something I enjoy. Yay! The hit that was supposed to be there was there! 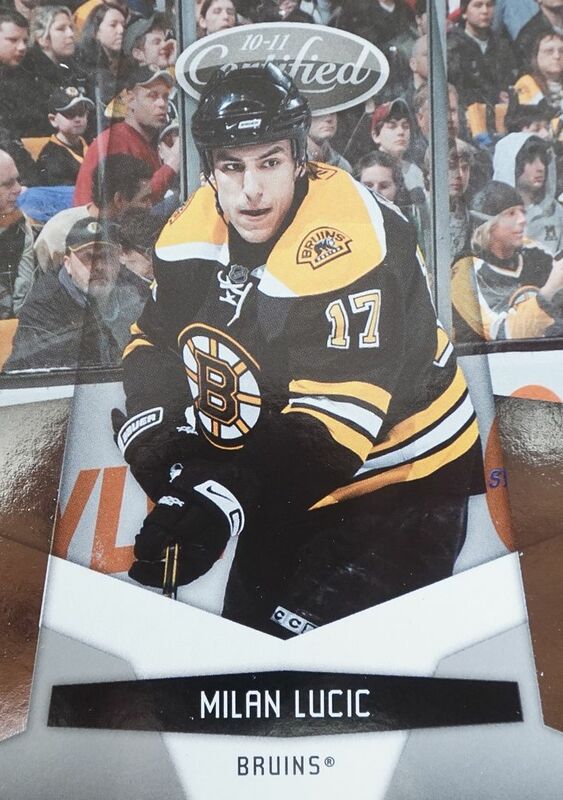 It's just a jersey card, but this is many times better than what I got last week. 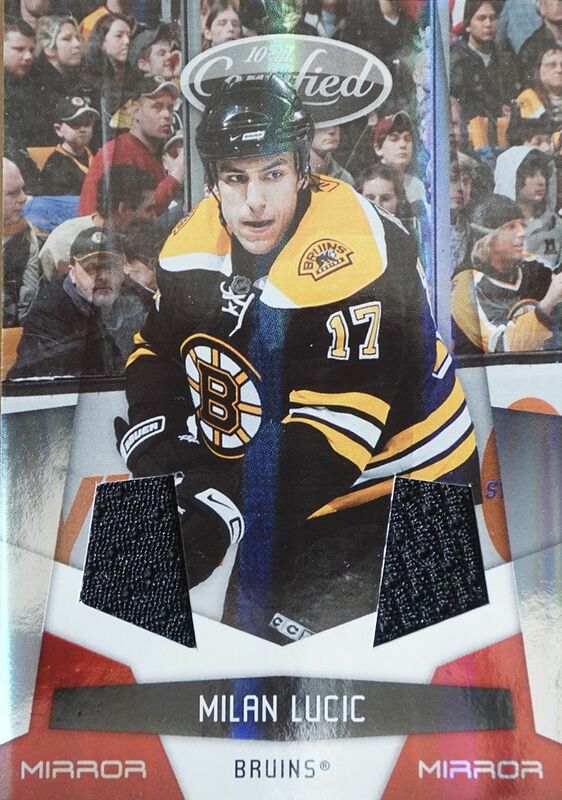 I also like the fact that this card (as well as the LaFontaine) were serial numbered. This was an average box of Certified at the retail level. I'm just glad that this time around I got was I was supposed to get. As long as Certified blasters are out there for a reasonable price, I will definitely keep on opening them in Retail Review episodes! They are one of the better deals out there!